Summer, sun, mountains and lots of fresh and healthy air, that’s what you´ll get in the great sun paradise of our valley. The many sunny days during the summertime are perfect for hiking in the beautiful landscape of South Tyrol. This is sure to push your energy levels up and help your body & soul recover and feel brand new. You can create your individual holiday experience by taking a bike ride along the Etsch River through the Vinschgau to the city of Meran or just by relaxing in a small Ice bar while enjoying a delicious Italian Gelato. Another option is to hike to one of the traditional Alp restaurants like the Sesvenna-house, where you can get in touch with nature and the local people. Particularly, the summertime in Vinschgau gives you many options to explore the area in different ways. You can follow the medieval roots of the town by visiting the historical castles, museums and of course the monastery of Marienberg, which is just a few minutes of walking distance from Hotel Gerstl. Find out more about our summer offers or send us a request. 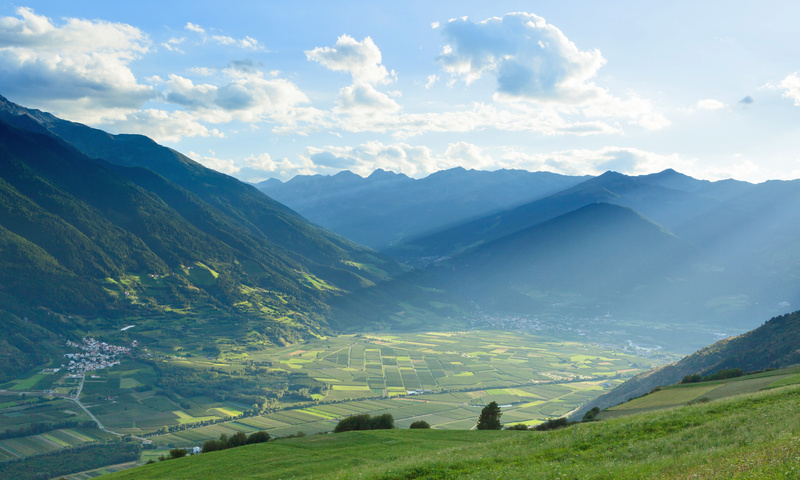 We are looking forward to welcoming you to the holiday region Vinschgau in beautiful South Tyrol! 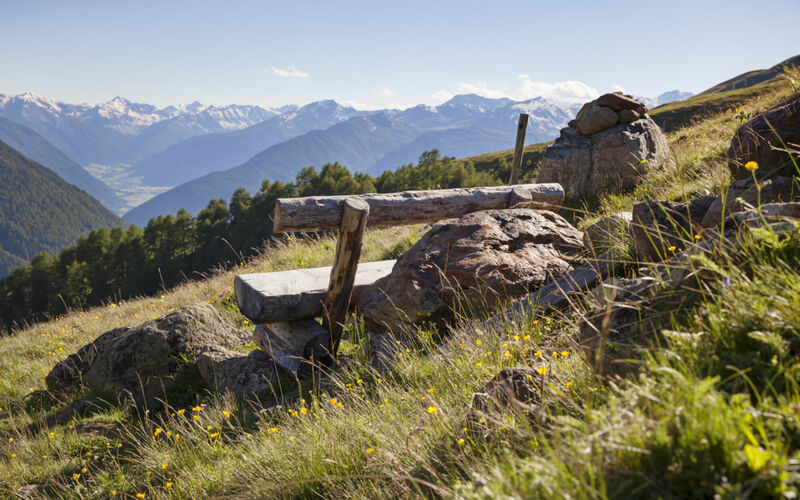 Explore the many hiking trails in the Vinschgau and climb some of the majestic peaks the valley's mountain world has to offer. From May until November, our guests are given the Venosta Valley Card upon arrival. 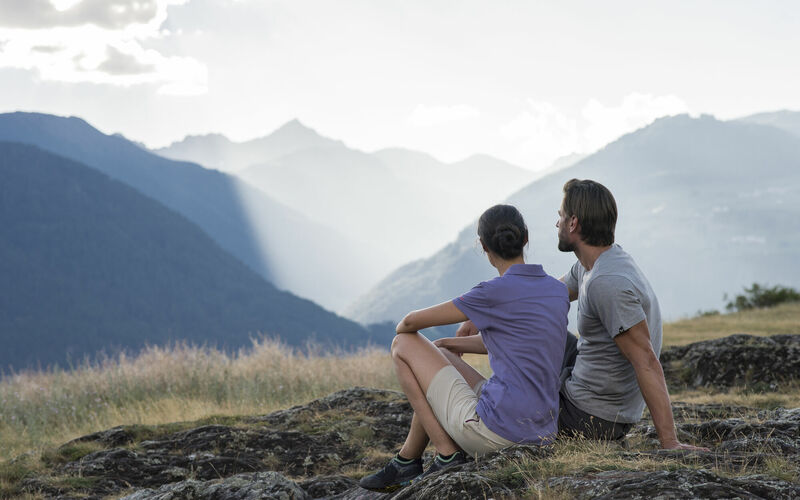 This special ticket entitles our guests to the unlimited use of all public means of transport throughout South Tyrol and offers a range of further advantages, too. The Vinschgau is one of the most popular holiday regions for bikers in South Tyrol. There are a number of reasons for that, including the wide range of individually adaptable trails and routes. 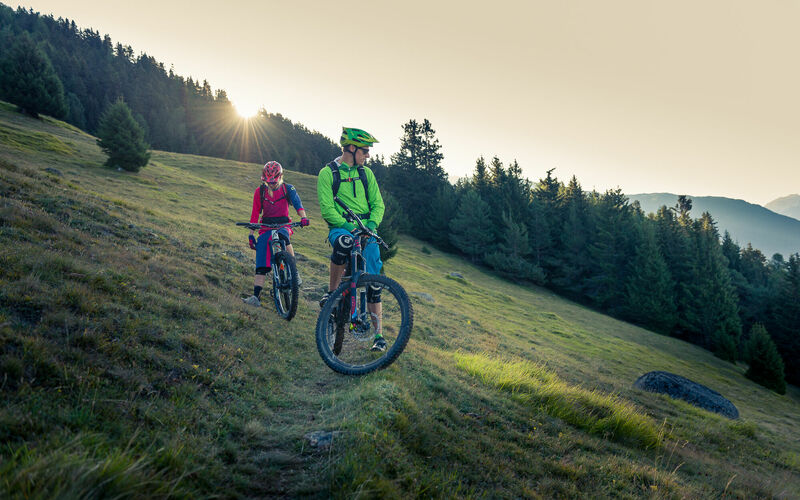 Find out more about the biking paradise Vinschgau! We have installed an interactive map for those of you who wish to already plan their tours before their arrival. The map shows all routes (hike and bike trails) in the surroundings of our hotel. Running around, climbing, playfully exploring nature - the Alpin & Relax Hotel Das Gerstl is ideal for families who wish to discover South Tyrol. Especially the Watles region with its many leisure time offers is attractive for families. While South Tyrol's natural beauty is well-known across the globe, its cultural treasures and heritage are often forgotten about. As a matter of fact, South Tyrol is extremely rich in history, both cultural and architectural, and the South Tyroleans have stories to tell. Visit some of the many castles, forts and monasteries and find out more about the region's history, culture, lifestyle and traditions, which wonderfully and incomparably bring together the rough Alpine spirit with the southern savoir vivre. Majestic mountains and rough rock faces, spraying mountain streams and waterfalls, gurgling brooks, lush green meadows and Alpine pastures across softly rolling hills, delicate flowers and strong, tall trees - whether in winter, summer, spring or autumn, South Tyrol is well worth visiting all year round and never fails to enthral its guests. We have collected some summer impressions for you that you won't be able to resist. After the most beautiful day of your life, follows the most beautiful holiday of your life: the honeymoon. Spend your first holiday as a newly-married couple with us at the Alpin & Relax Hotel Das Gerstl and enjoy your wonderful togetherness.